I know we’re still a few weeks away from New Years, so the last thing you want to hear about it the resolution everyone makes—to get in shape—right? But just in case you are thinking ahead, there’s a Living Social deal for something I thought sounded pretty cool. It’s a deal for an obedience session and either two or four boot camp sessions—with your dog! The deal is with Thank Dog! Boot Camp and there are sessions held in Arlington and Potomac. According to the description, you get to you train and bond with your pooch while you work out with certified fitness trainers and dog experts. Dogs of any temperament are welcome, but you must have the obedience evaluation appointment first. $60 gets you two boot camp sessions and the evaluation, $80 gets you four sessions and an evaluation. If you’re in Maryland, you might want to contact Thank Dog! 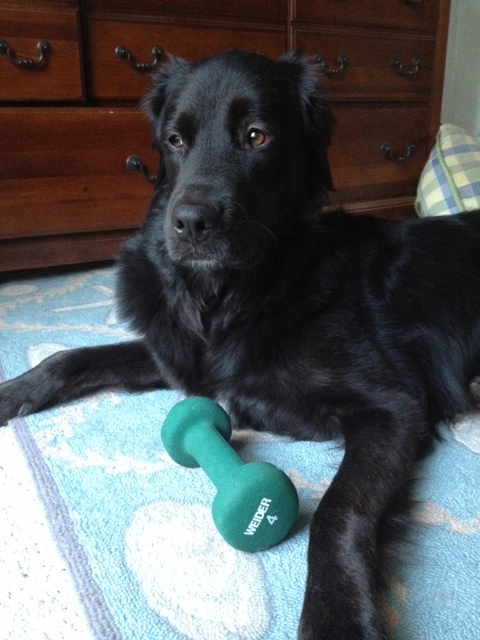 before buying, the Living Social deal says there are classes in Potomac, but the Thank Dog! website only lists Arlington classes. There are weekday morning and evening and Saturday morning classes. Don’t dilly-dally if you’re interested, the Living Social site tells you how many people have bought the deal, but not when it will disappear from the site.